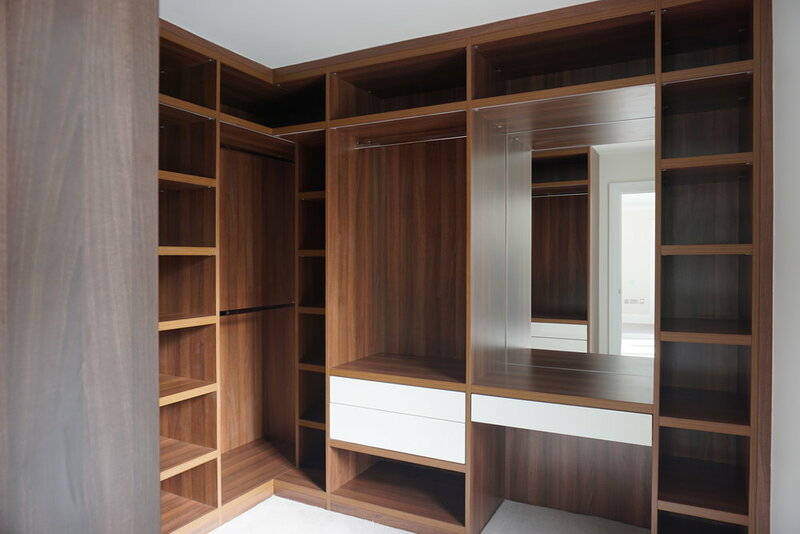 We had an amazing and exciting project of designing units throughout a newly built 6 storey house in North London. 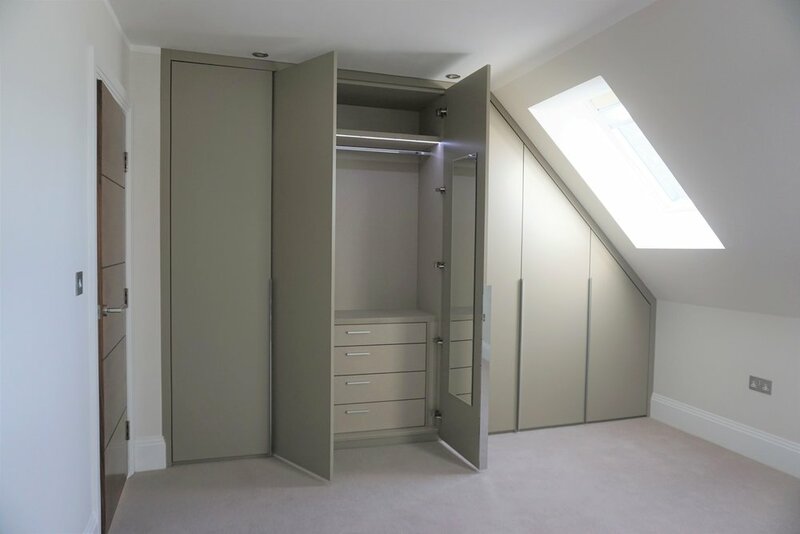 There was a versatile array of wardrobes designed – female and male Walk In wardrobes for the master bedroom, Matt Lacquered Hinged wardrobes throughout all of the other rooms in the house – some with sloped ceilings, Frameless Silver Mirrored Hinged wardrobes for storage in dark hallways to create an appearance of light. 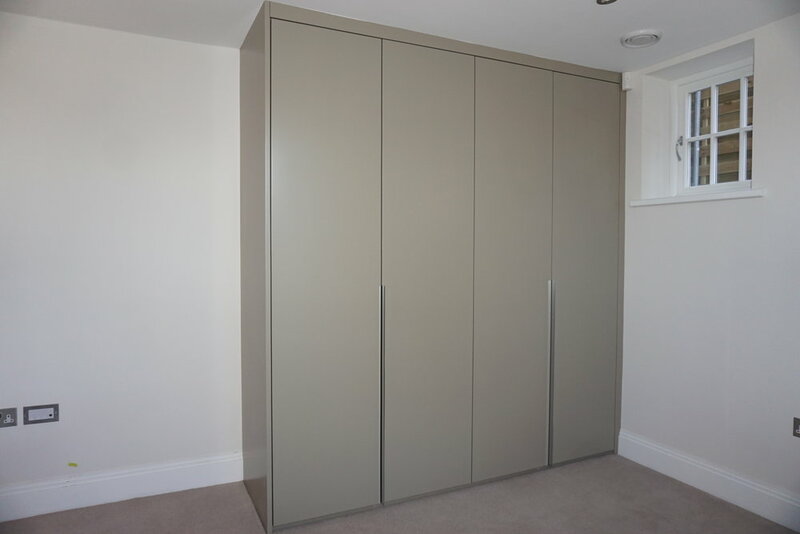 To finish it all off, a beautiful study room in Anthracite and Linen.